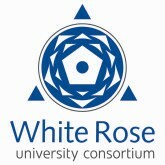 The Making of Medieval History project is funded by the collaboration fund of White Rose Universities Consortium (Leeds, Sheffield and York). The project co-ordinator is Prof. Graham Loud (Leeds), in collaboration with Profs. Martial Staub (Sheffield), Ian Wood (Leeds) and Peter Biller (York), along with Drs. Catherine Cubitt (York) and Charles West (Sheffield). The purpose of the project is to hold a series of guest lectures and workshops, commencing with a workshop at the International Medieval Congress at Leeds in July 2011 and concluding with a plenary lecture at the International Medieval Congress in July 2012. In the intervening period there will be six sessions of lectures and workshops, three per semester, shared equally between the participating universities. We hope to publish a book based upon the guest lectures and a number of other invited contributions, and to use the project as a basis for further international collaboration by the medievalists of the participating universities. The project intends to examine the modern study of the history of the Middle Ages, on a collaborative and international basis, with particular reference to the study of the Middle Ages in Continental Europe. We shall discuss a number of influential recent approaches to medieval history; examine different national traditions of medieval historical study (including how this has reflected, and influenced, contemporary politics); and also reflect upon the interaction between professional historians and the public imagination of the Middle Ages. The Making of Medieval History project continued in 2013 with a lecture by Prof. Mikhail Boytsov (Moscow) at the Humanities Research Institute, Sheffield, on 28th June. a summary of which can be found here.